Puppet at Getty ImagesThis is a Puppet case study for the web & technology sector. Puppet Enterprise to consolidate workflows, enable test-driven development & continuous deployment. Getty Images’ award-winning news, sports and entertainment photographers and content creators help customers produce inspiring work that appears every day in the world’s most influential newspapers, magazines, advertising campaigns, films, television programs, books and online media. For a long time, Getty Images and iStock by Getty Images were operated as autonomous entities, with separate budgets, and their IT environments were also separate. Other acquired photo websites were moved into the Getty Images data center, or were kept running in their original sites through virtualization. The result? An IT environment that was really a patchwork of IT environments, all running different hardware and software. With so many different legacy IT systems running at once, “The company was spending a disproportionate amount time fighting fires,” said Juan Rivera, manager of platform design at Getty Images. While Getty Images was actually using Puppet for configuration management, there were different versions running simultaneously, and multiple masters. “We had multiple repos and workflows internally, and it was not practical,” Juan said. Getty Images started with open source Puppet in 2011. The company then purchased a small installation of Puppet Enterprise, for 250 nodes. 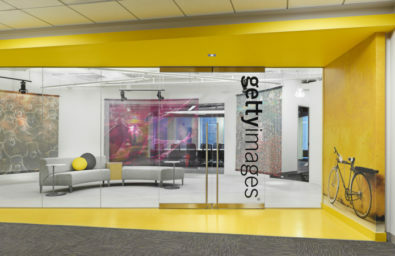 As Getty Images expanded its use of Agile practices — continuous integration, configuration management, shorter release cycles and test-driven development — it purchased a larger license, for more than 3,000 nodes, with the option to expand from there. “We had to shore up development to do continuous integration and continuous deployment and we had to shore up on the ops side of the house,” Juan said. “That’s where Puppet came into play.” Developers now manage their Amazon cloud instances with Puppet to ensure their development environment configurations align with production environments. IT operations uses Puppet to maintain configuration parity between development, staging, and production environments for various major applications. Currently, Getty Images is managing about 1,500 nodes with Puppet Enterprise, but Juan expects that number to grow quickly. All new systems that come onstream get Puppet Enterprise installed on them by default, while legacy systems are prioritized according to business needs. “The faster we can get to 3,500 nodes, the better, because it means we’ll have more of our systems under configuration management,” Juan said. Puppet Enterprise makes it possible for Getty Images to quickly test new features for customer response, rapidly scaling the features that prove popular, and pulling back those that don’t.